Red Fly Studio's newest puzzle game will tickle your nanorobots. We're always down for a quality puzzle game, especially one featuring nanorobots constructed inside Molecular Nanobot Factories. Thankfully, Red Fly Studio was right there to help us scratch that itch with its newest iOS and Android title, Elenints. From what we can tell, the game involves grouping nonorobots together to produce more complex forms and release a substance called Protomatter. Create enough of this stuff to make a high level "Nint". The more Protomatter you have, the easier it'll be to prevent Creepers and Bombs from invading and thereby polluting this whacky experiment. Despite the confusing backstory, Red Fly insists Elenints is easy to learn, and we're inclined to believe the developer, since the company's previous mobile game, Inertia: Escape Velocity, is pretty cool. 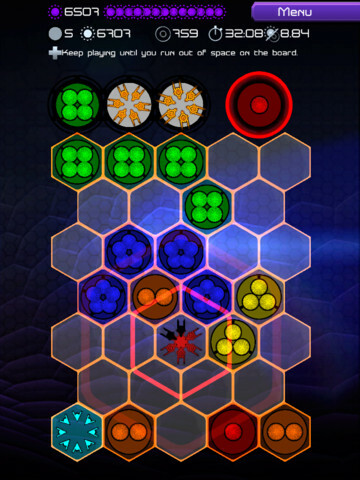 We'll post a review in the coming days, but the game's free, so check it out on the App Store and Android Marketplace.